Can't you see I'm (not) writing? A friend recently confided in me. "I don't write every day," she whispered. "I know you're suppose to." "I don't either," I replied. Relief washed her face. For years, I badgered myself into writing regimes. I wrote 500 words a day. I wrote Morning Pages, timed writings, and poems on demand. Like a diet with a strict calorie count, every time I fell short — and I always, eventually, fell short — I felt worse than when I began. Cue the berating. Let the self-degradation begin. But I've eased up. I have, in part, Billy Collins to thank. Creative opportunities. Acts of literature. Now, instead of wrangling myself into writing every day, I simply look for creative opportunities to commit acts of literature. And my definition is rather broad. Recent acts include reading (newspapers, books, magazines, blogs, cereal boxes), attending a reading, gathering with literary friends, browsing bookstores, and roosting at libraries. As a writer-for-hire, I do write everyday. I have clients and deadlines and a love of structure. 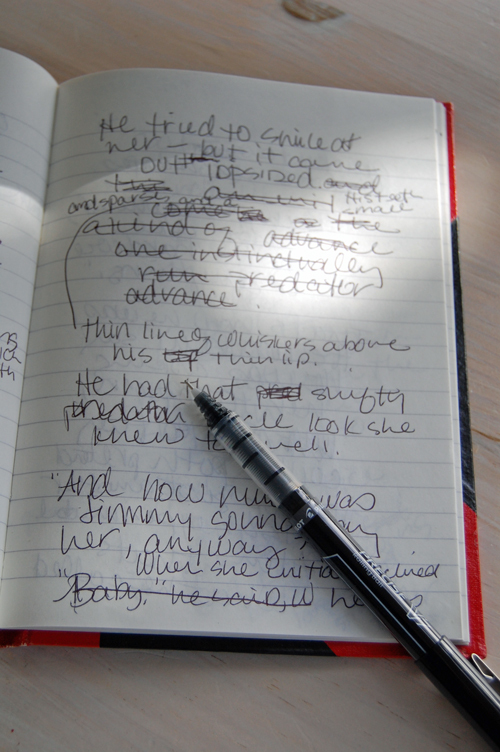 As a poet, I am consistently battling my "write now" brain with my "write when it feels good" tendency. Writer Jessica Goodfellow recently provided a much-needed nudge: "Even when you're not writing, you're writing." "Sometimes I just have to remember that everything I do is writing," she says. "It may not look like it to anyone else (it doesn't even seem like it to me! ), but what I am doing when I'm doing nothing is writing. And when I'm doing something other than writing, somehow that is writing too." Now that's a writing regime I can put to work. How about you? Are you writing when you are not writing? Are you commiting acts of literature? Newer PostEveryone's a winner . . .